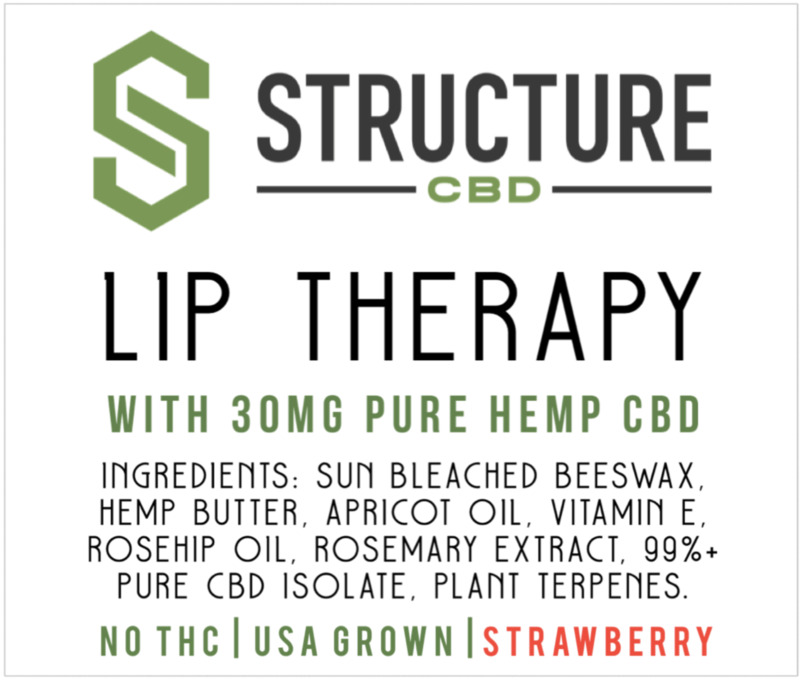 Structure Lip Therapy Chapstick is a great hemp based chapstick for dry and chapped lips with the added benefit of CBD. Replace your chapstick with one that last longer per application, and has added therapeutic effects of Terpenes and CBD for health and recovery. Sun Bleached beeswax, Hemp Butter, Apricot Oil, Vitamin E, Rosehip Oil, Rosemary Extract, 99%+ Pure CBD Isolate, Plant Terpene Blend, Organic Strawberry Extract.